When it comes to smart speakers, Amazon leads the way with its super intelligent speaker system named Amazon Echo. 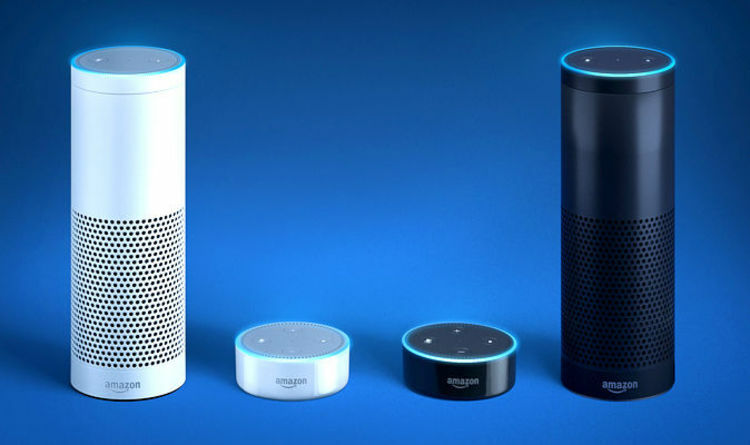 The Echo as it is popularly called connects to the inbuilt voice recognition assistant named Alexa also developed by Amazon. Be it playing music, calling someone, receiving or sending text messages, reading a book, regulating smart-home gear, getting news updates and other information; Amazon Echo does it all for you. Here is a price list of the variants the Echo offers. Make sure you use your Amazon coupons and Amazon promo code to grab better deals on Amazon. 1 What is Amazon Echo? The Echo is a variety of hands-free smart speakers developed by Amazon. This intelligent speaker uses Alexa, which is a voice-controlled technology that takes smart-home control features to the next level. The Echo supports a wide range of smart-home devices. The Alexa platform adds more depth to the variety of services the Echo offers to you. Interestingly it includes services like booking a cab to even order a pizza for you. Just use the word “Alexa”, say what you want, and Echo is ready to assist you instantly. In addition to the 1st generation speakers by Amazon, it has also come up with other varieties of the Echo. These include the Echo 2nd Generation, Echo Plus, Echo Dot, Echo Look, Echo Dot Kids and many more. It weighs around 1064 grams and offers dual-band, dual-antenna Wi-Fi connectivity for faster streaming services. It has seven microphones enabled with beamforming technology which lets it hear you from anywhere in the room. Echo has 360° degree omnidirectional speakers which provide immersive audio quality and lets you play music from Spotify, Amazon Music, Pandora and many more. The woofer is 2.5 inches which offer a deep bass response, and its reflex port provides high-quality output. The deals start from $62.07 with the option of free shipping by Amazon US. Make sure you use your Amazon coupons and the Amazon Coupons wisely and earn attractive deals on Amazon. Also Checkout What is cryptojacking, how does it work, and how can you be protected? You can text or make calls with the device. It can also connect instantly with other Echo devices installed in your home. It is Bluetooth enabled and can connect to headphones or other speakers through Bluetooth technology. You can save an attractive 10% on the list price of $49.99. You also have the option of saving $20 more if you buy 2 Echo Dots at a time. The ZigBee smart home hub in the Echo Plus gives you access to set up compatible ZigBee lights, plugs, locks, and switches from Philips, GE, and many more such brands. It is Alexa technology enabled which helps you to set timers, alarms, check updates, and ask queries and so on. You can save a decent 9% on the list price of $164.98 which will cost you around $149.99. Amazon also includes a Philips Hue Bulb with the package with no extra costs to bear. Alexa is Amazon’s virtual assistant that works with the smart speakers; Echo or any other Alexa enabled device. It works as your digital assistant, ready to provide you with all the necessary updates or the tasks you ask it to perform. It can play music for you, read a book, make a call, provide you with the current news updates, switch off the lights, lock the doors and many more. Alexa is not a device in itself, but a smart voice-enabled technology that makes devices like Echo more intelligent and user-friendly. It comes with the Echo, Echo Spot, Echo Dot, Echo Look, or even the Amazon Fire TV. To help you choose wisely and save more, here is a general breakdown of the price comparison between each of them and their variants. Echo Dot With 20% off on list price of $49.99, it comes at $39.99. With different alternatives for you to choose from with attractive prices and deals from Amazon, at the moment the clear winner is Amazon Echo. While Amazon Echo seems to provide a quality output when it comes to sound, Google Home Max and Apple HomePod seem to have the edge. The Home Pod, for instance, has a unique awareness feature that lets it adjust and modify the sound according to the size of the room. The Home and Echo devices let you connect to other speakers via Bluetooth whereas this feature is missing in Apple HomePod. The Echo offers great flexibility to you as it can sync with other Alexa-enabled gadgets and devices. Well for now regarding sound, HomeMax and the HomePod seem to be ahead of the Echo. But when it comes to adjusting and offering you flexibility, Echo is the choice. The Echo can connect with a wide range of smart-home devices that makes it extra special. It can be integrated with your prime account too. The Google Home uses the Google Assistant to assist you in personal tasks as providing you news updates, scanning your calendar, to playing music. Other than using the Google Assistant the GoogleHome makes use of the Google’s set of apps to offer you smart services. The HomePod is more about Apple music and responds smartly to your commands of playing music. It is compatible with a few home kit devices but not as much as the Echo or the Google Home. Also, both the Home and the Echo offer the option to make phone calls. The HomePod does not support the calling feature yet. For now, the Alexa attuned Echo with a vast array of smart control functions and compatibility has the edge over Home or the HomePod. With higher device compatibility and a wide array of smart skills, the Alexa enabled Echo is currently leading among the three. GoogleHome is catching up fast especially with the latest Google HomeMax which offers a rich sound quality along with other skills, compared to the Echo. Amazon also offers great variants of the Echo as the price-friendly; Echo Dot and other high-end options like the Echo Look or the Echo Plus. It is time for you to take the call depending on your priorities and needs and choose the best as per your budget.